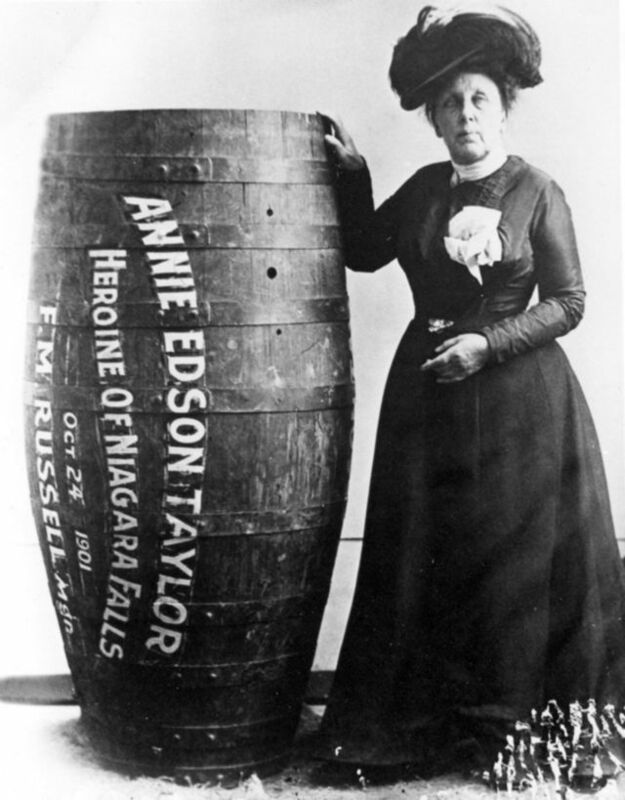 Bobby Leach was not the first person to go over Niagara Falls in a barrel. That honor belongs to Annie Edson Taylor who in 1901 escaped the treacherous drop from the horseshoe-shaped falls with only a slight gash on her head. Luckily, she survived to deter others from copying her foolish stunt. “If it was with my dying breath,” she said after the jump, “I would caution anyone against attempting the feat.” It was a stern warning. “I would sooner walk up to the mouth of a cannon knowing it was going to blow me to pieces,” she added, “than make another trip over the Falls.” Most heeded her desperate plea. Then came Leach. If Bobby Leach heard Taylor’s words of caution, he likely took it as a challenge. 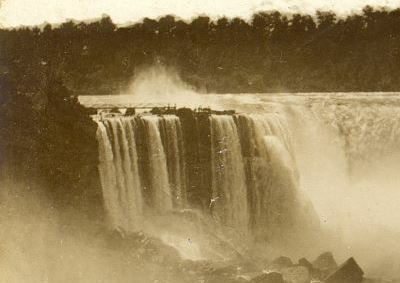 Ten years later, in 1911, Leach would attempt the same stunt, also dropping off the horseshoe part of the Falls. “The first man to try it,” the newspapers trumpeted, perhaps finding no other angle to the story. But for Leach it was just part of a grand adventure. He was a daredevil and this is what daredevils do. Leach was already a showman and acrobat, working in the circus and performing death defying feats of strength and endurance to large audiences. His risky balloon ascensions were popular and his parachute jumps – one for a distance of two miles – made people gasp with delight. In 1907, as legend has it, Leach was a spectator at Madison Square Garden in New York when a man tried to jump 125 feet from a platform to a large bucket of water. Leach was envious. When the jumper missed the bucket and died instantly, Leach supposedly rose to his feet and proclaimed, “I can do that.” Whether he attempted that feat is not known, but he did include more dangerous stunts in his own act. 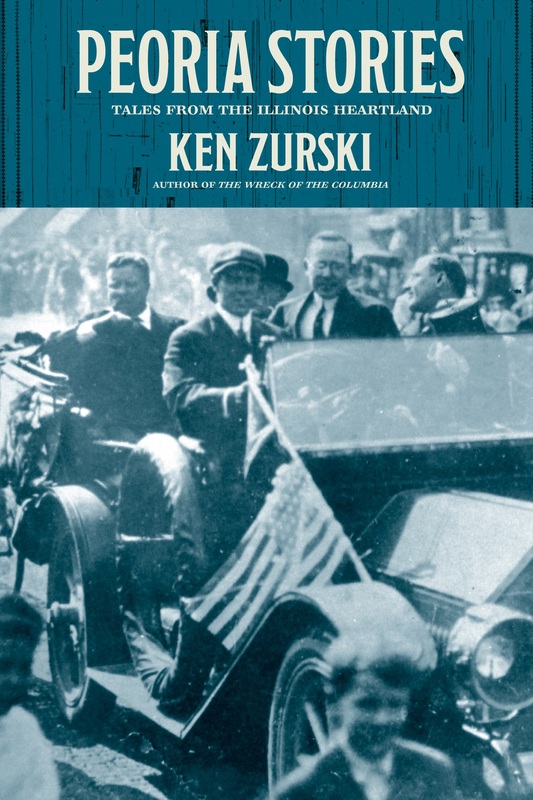 In 1908, he announced his intentions to go over the Niagara Falls. “In a rubber ball,” he exclaimed. Leach had planned to jump the Falls in a large rubber ball, hoping to bounce of the jagged rocks at the bottom. He scrapped the idea, however, when others convinced him it likely wouldn’t work. Leach retooled his thoughts. Like Annie Taylor he would use a fortified barrel. But it was a barrel in name only. 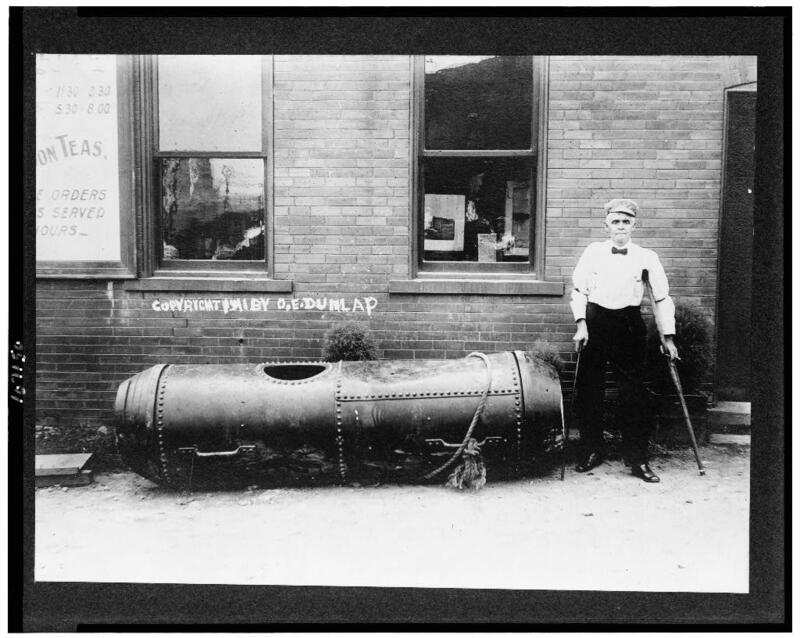 About nine-feet long and three-feet wide, it looked like a large steel cylinder with a manhole-sized opening and heavy cover. A small one inch hole, plugged by a cork, could be used for air if needed. Otherwise, the craft was water-tight. Inside, pillows were placed on each side and a webbed netting suspended the body, keeping Leach from violently banging the sides. Suddenly I saw the black shape of the barrel with its sharp wooden nose pointed on the brink. It hung there for a few seconds before it plunged down one hundred and sixty-eight feet to the river below. Leach had built out blunt wooden noses of heavy timbers, bolted fast to the iron ends of the barrel. The idea was that these wooden noses would act as buffers from the rocks and prevent them from smashing holes on the ends. As it turned out, this was a good idea, probably saved his life, for after its big drop the barrel struck nose on and tore away most of the planks on both ends. Arthur says the barrel stood up on end for several minutes like it was wedged in some rocks then began to move with the current. We were waiting at a point in the powerhouse cove where the control barrels had floated. We thought he would come out here, but he did not come. A minute passed, then two minutes, and we searched the smooth black surface where the “Maid of the Mist” was lying ready to help. Nothing! Three minutes! It seemed like hours, and then a little distance off from the shore we made out the black shape of the barrel sweeping on towards the rapids. Everybody yelled and big strapping fellow from the firehouse leaped into the river and struck out bravely. We saw him swim up to the barrel and throw one arm over it and turned like he was struggling, then two other young fellows rushed in and among them they brought the barrel to the bank. Leach fainted during the fall, was banged up, but still alive. The rescuers used stimulants to revive him, then laid him out on a stretcher for a closer look. It wasn’t good. At the hospital, the news was dire, but not life threatening. Both kneecaps were shattered and his jaw bone was cracked. He spent twenty-three weeks in the hospital recovering. When he was finally released, Leach found acceptance in Europe where he took his dented barrel and went to exhibits and conventions and reportedly did smaller- but still dangerous – stunts to appreciative audiences overseas. His return to the Falls was just as successful. He delighted locals with attempts to swim under the rollicking waters and made several parachute jumps out of an airplane over the gorge. Leach’s place in history is perhaps more dubious considering he was the first person to jump the Falls after Taylor’s inaugural attempt. 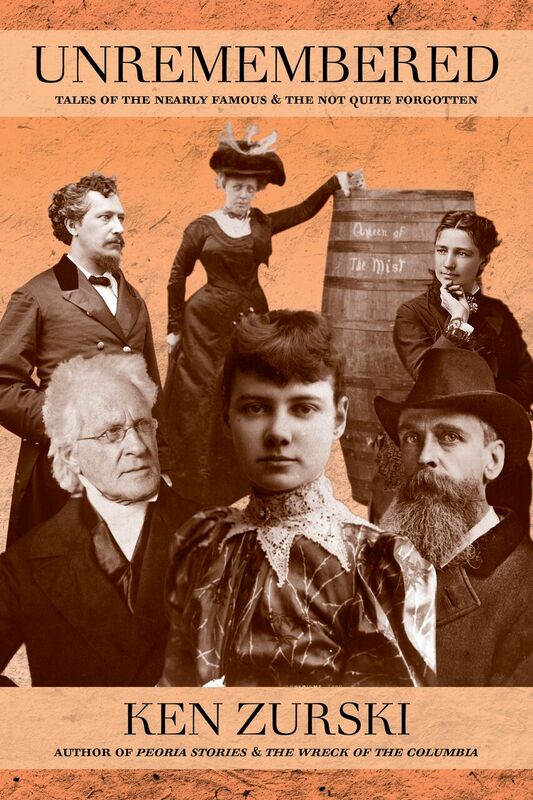 The “Heroine of Niagara Falls” tried to stop others from trying the feat, but that didn’t deter Leach. His decision to jump may have inadvertently spurred on others to publically make successful and tragically unsuccessful attempts that continues to this day. Leach also benefited off his popularity, but Taylor did not. She expected to get rich for her efforts, but died a pauper. Even by today’s standards, these daredevil barrel jumpers would certainly be lauded for their efforts. But perhaps one aspect of their stunt would have received more attention and likewise, skeptical debate: their ages. Leach was in his 50’s when he jumped off the Falls. Taylor was 63. Incredible! Never knew about Taylor, and the detail of their ages is just remarkable. Very glad to see this site, Ken!